My friend Michelle is getting married this fall. A few weeks ago, we celebrated with a weekend full of bachelorette and wedding shower festivities. I took on the challenge of making a cake for the bachelorette party. Naturally, I turned to my trusted source for cakes, Joy the Baker and her latest cookbook, Homemade Decadence. 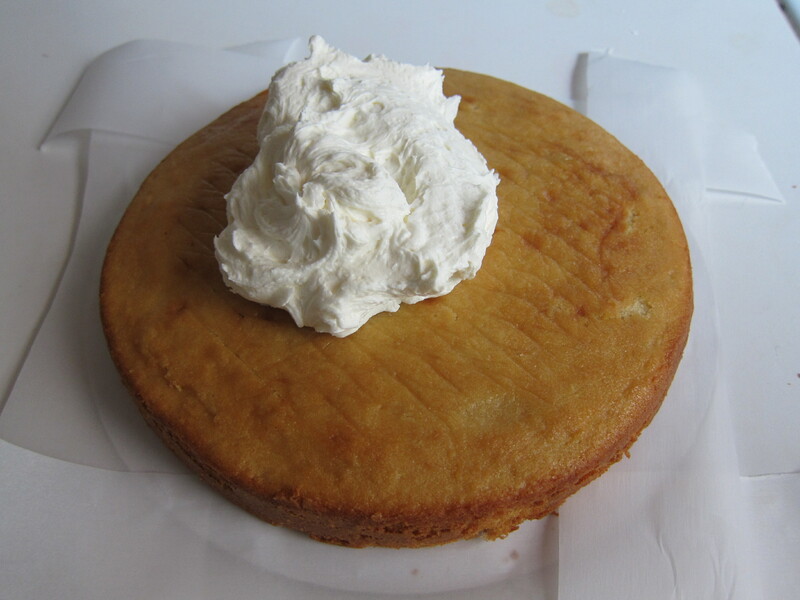 Below is a series of pictures of the cake making process. But first, a snapshot of myself and the bride-to-be. We have bachelorette tattoos. No big deal. 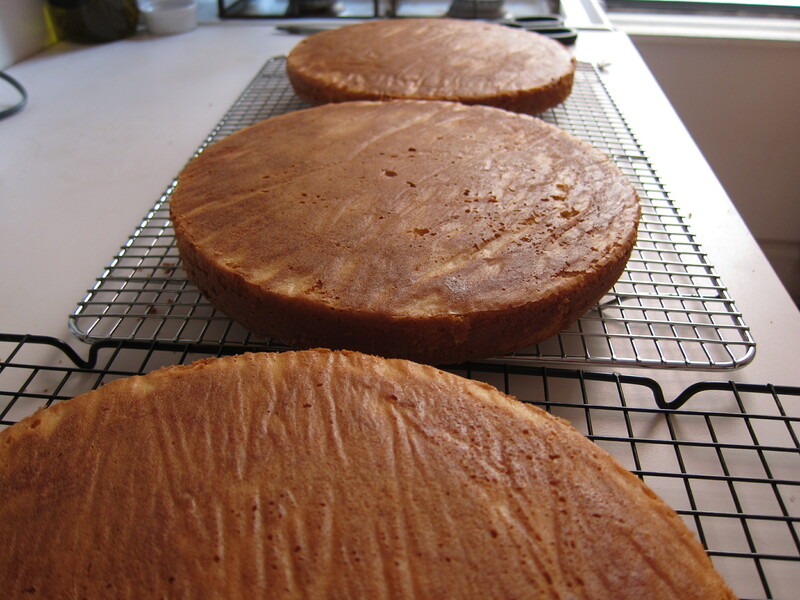 3 layers of cake, cooling on wire racks. Once completely cooled (i.e. hours and hours later), you can frost. Or better yet, wrap the cooled cakes in plastic and frost the next day. 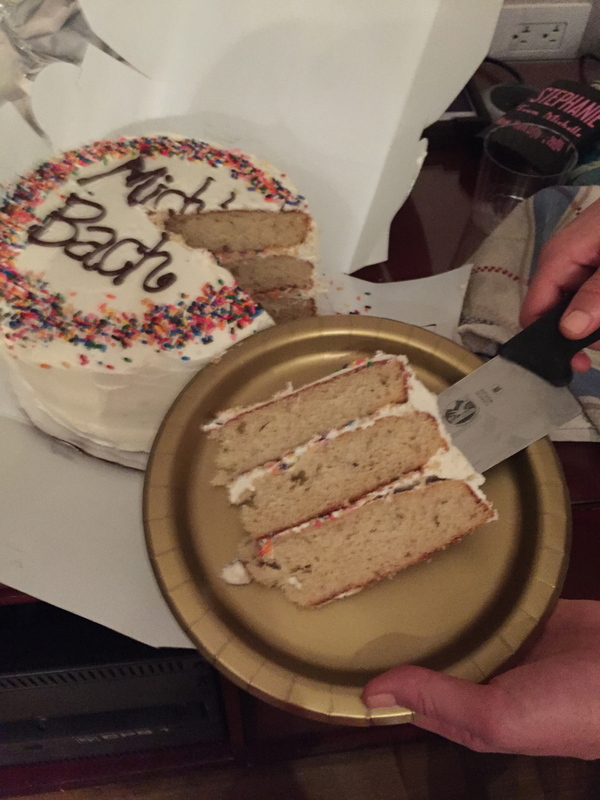 A cake cardboard from the one and only NY Cake and Baking store. 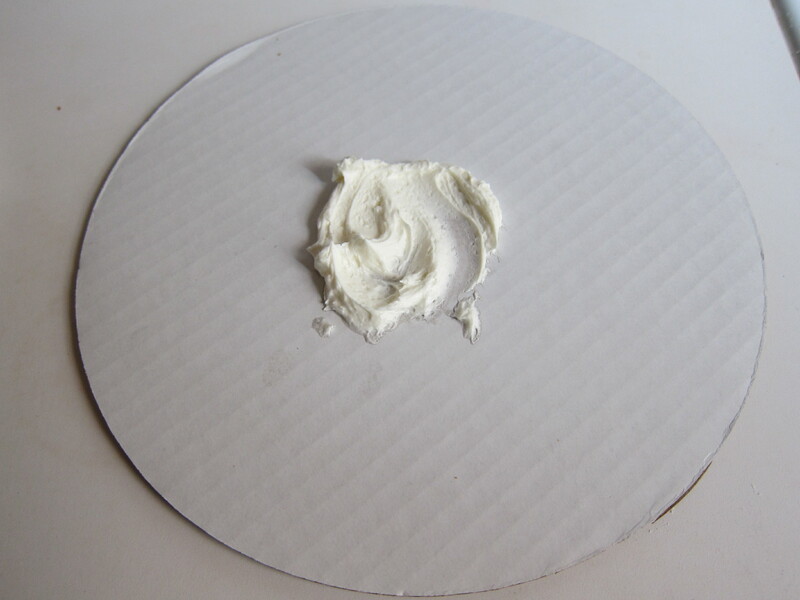 Add a dab of frosting to the bottom to keep the cake in place. *Note: when ingredients say room temperature, make sure they are at room temperature. It’s actually important. My frosting initially “broke” a little and had big air bubbles because I added a touch of cold cream to a warm butter-confectioners’ sugar mixture. Nothing I couldn’t fix by zapping the “broken” frosting in the microwave for a few seconds and re-whipping. Bottom cake layer. Strips of thin parchment nestled around the cake keep things clean for the final reveal. Frosting between each cake layer. 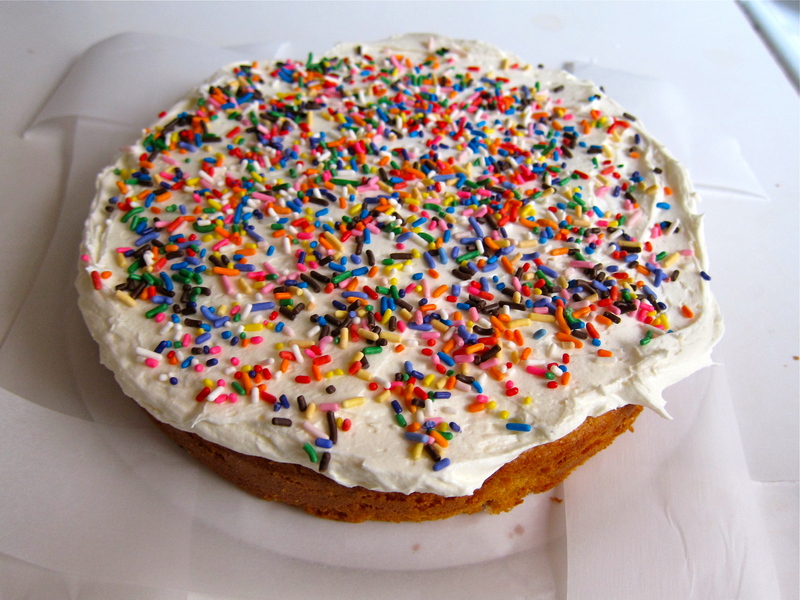 Sprinkles between each cake layer, because we are being festive here. And we have a beautiful, delicious cake! With extra sprinkles on top. Clearly I am very rusty at writing on cakes. 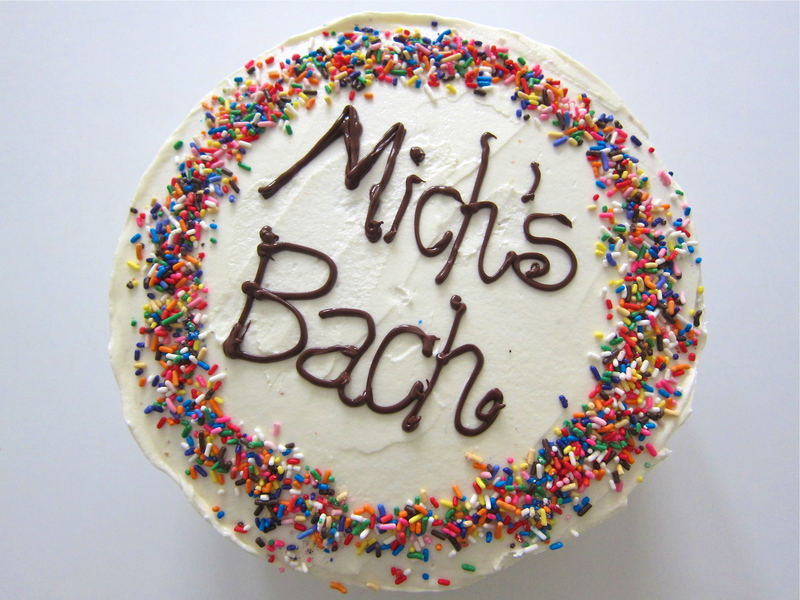 What meant to be “Michelle’s Bachelorette” turned into “Mich’s Bach.” It’s the thought that counts. 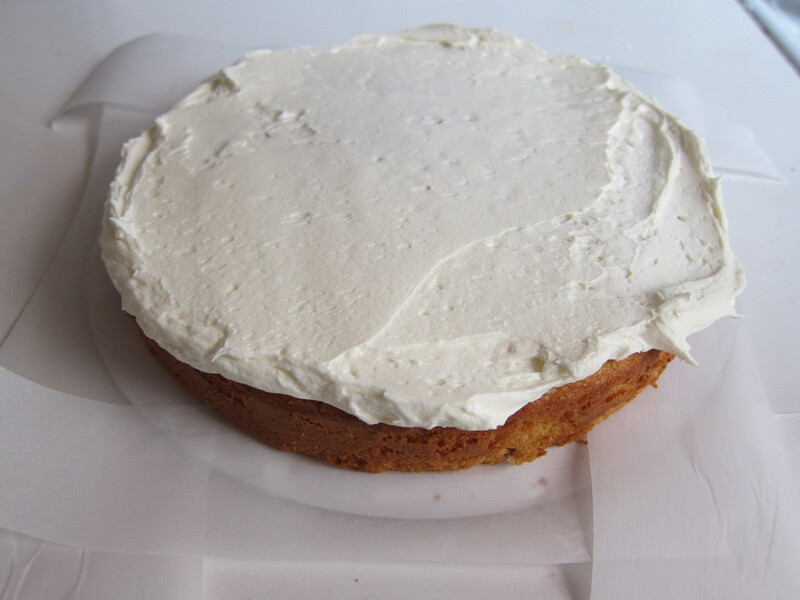 So satisfying to cut into a layer cake. 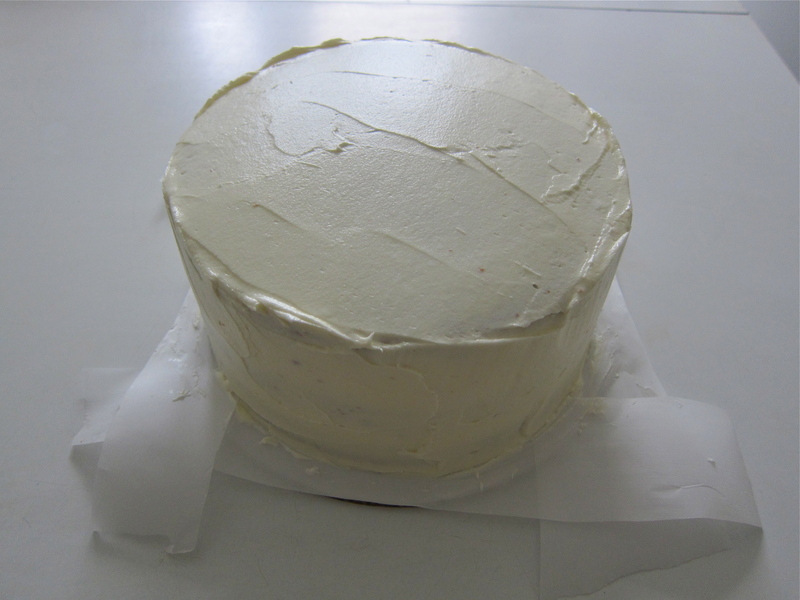 Joy the Baker provides her recipe for the basic 3-layer yellow cake and classic buttercream frosting on the Yahoo! Food page. Check it out, and make some cake.